For this edition of my blog I will be exploring and explaining the ‘gift’ side of Autism. This is something that is sadly overlooked by many employers, resulting in the full potential of the Autistic workforce being undervalued and under-utilised. Autistic people often feel invisible in society and as such are ignored or dismissed. Our skills and intelligence are very rarely recognised because we don’t communicate in a Neurotypical way. Yet, many great minds who have contributed significantly to the development of mankind displayed signs and symptoms of what would now be recognised as Autism. I was diagnosed as Autistic almost 6 years ago, at the age of 50. As one who slipped through the proverbial net and who struggled to understand both myself and the reactions of other people to me, the diagnosis was quite a revelation. Once I had come to terms with what it meant, researched it to the “nth” degree and dealt with the co-morbid anxiety I had been living with my entire life to that point, I made a decision: To hell with what had gone before and all the people who hadn’t recognised my talents or intellect. I was going to make my Autism work for me. I was going to take the things it gave me and use them to make my life from that point happy and fulfilling. So, what did I do? I got rid of all the things and people who made me unhappy. The first thing I did was quit working for an employer who had caused me great anguish by failing to support my sensory needs and by refusing to accept that I could even be Autistic, despite having a copy of my official diagnosis! I didn’t fit with their preconceived ideas of what Autism is. I cut communication with people who brought drama and conflict into my life. I rebuilt myself both physically and mentally to a healthy place. I then set about making myself happy. I started looking at all the things I wanted to do as hobbies, but never had the time. I have always loved music, now I could take the time to teach myself to play to a level I was happy with. I loved guitars and had an idea swimming around in my head for some time for a custom shaped bass guitar. A Yellow Submarine, as per The Beatles animated film. Trouble is I am the guy who was kicked out of Woodwork at school as I was told I would always be useless and never be able to make anything with my hands. It was going to be a sharp learning curve, but I believed I could do it. Before each stage in the project, I researched thoroughly. I found that I have the ability to think through an action and rehearse the method many times before I would put tool to wood. I can carry out these rehearsals during lucid dreaming. I can go to bed thinking about the problem and wake up the next morning having ironed out all aspects of the process to the point where I can do it without any further physical preparation. Once I had the wooden structure complete, I learnt to paint it, with a mixture of techniques from spray can to fine brush work. I taught myself how to do guitar electrics, fitting the pickups and controls. Then came the stringing of it and setting the bass up so it played easily and sounded good. I also found that I could use this lucid dreaming technique to learn how to play songs. I found this out when I was struggling with a song and I abandoned my efforts and went to bed. I remember very well in my lucid dream that I was stood with my bass on and the song was playing. I could pause, rewind and isolate certain instruments, as if I was in front of a multi-track mixing desk. I replayed a note I was struggling with, looked down at the fretboard and moved my hand up and down until I found it. Then I moved onto the next note. I woke up in the morning and told my Wife what had happened. I couldn’t wait to find out if it would translate to actually playing it. We both went into my music room, I picked up a bass and sure enough I was able to play the song perfectly! 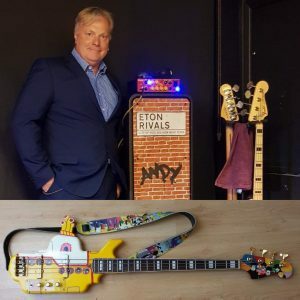 As people learnt of my new skills, I started getting requests from fellow musicians to work on their guitars and basses. This led onto being approached by the Guitarist of a popular band and asking me to service and set up his guitars for him. I relished the opportunity, although of course there is self-imposed pressure to be perfect in everything I do. In my work for him this is heightened. I was also asked by the band to work ad-hoc at their studio to help with the day to day running of the place when needed. The real upside of this hard work was I could set up a workshop in one of the newly partitioned rooms. I built a guitar workbench from left over timber in one day and covered it with carpet and a large ceramic tile for soldering on. I now find myself employed for a band whose music I love. People I both like and respect, and who really value me for my skills and abilities. 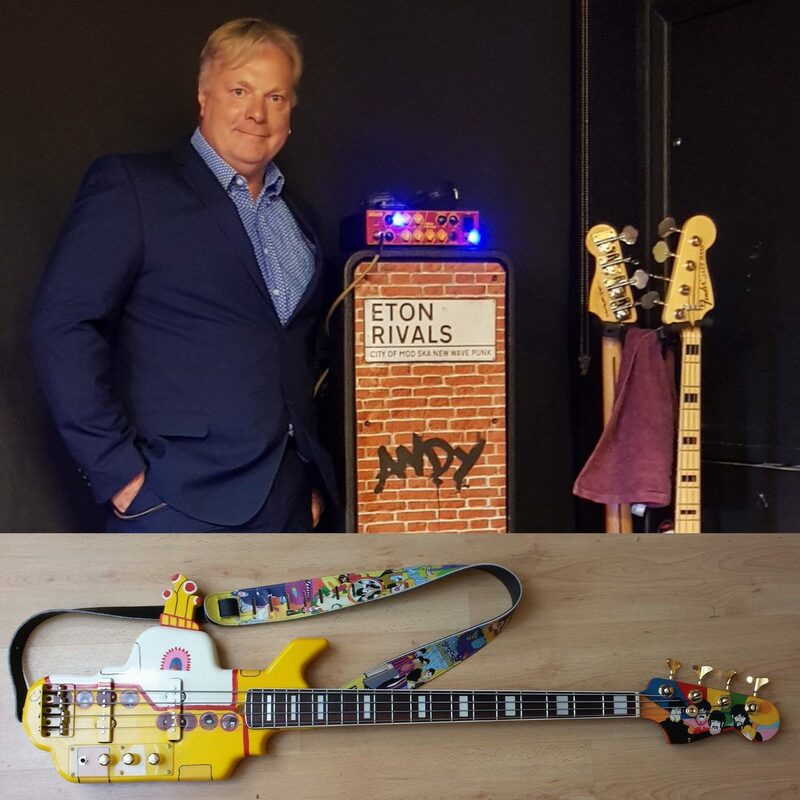 I am looking after the whole guitar and bass collection the band own. Each day brings its own set of challenges, but I love learning as I do them. I have found that I have a real gift for restoration particularly. I am currently bringing back to life a beautiful 1976 Rickenbacker bass. Yesterday was a Spanish/Classical guitar. Of course, being Autistic, I am a collector and have a house full of guitars and basses of my own… Although I do need to draw this in it is a small price to pay to have discovered gifts, I never knew I had, skills I never thought I could learn and a hobby that has turned into my dream job! There are reasonably common gifts that accompany Autistic individuals, like Pattern Thinking, Visual Learning, Attention to Detail, Extreme Levels of Concentration, Loyalty and Honesty and a Deep Passion and Knowledge on their Special Interest. Less common ones include Savantism and High IQ. What unites us all however is Out of the Box thinking, the ability to think freely without the constraints of established thinking or social norms. What society and the employers who haven’t caught on yet need to understand is that the Autistic Mind is a relatively untapped resource. Given the right environment, encouragement and tasks specifically related to the gifts they possess we are a most loyal, productive and hardworking addition to the workforce. “Sometimes it is the people no one can imagine anything of who do the things no one can imagine,” Alan Turing. CBD oil (Cannabidiol) is a derivative of the Cannabis plant. There are two types of CBD, with or without the psychoactive substance THC (Tetrahydrocannabinol). CBD without THC is legal in the UK and can be bought at health food shops and online. Andy is Autistic. He was diagnosed as an adult and has embraced his Autism, as he has many strengths and talents that are significantly enhanced by his autistic experience. He gives talks to professionals as part of the Autism Training that 3 Spirit UK provide. Through this and his online activities, Andy promotes understanding of Autism from an Autistic perspective. Recently Andy has been conducting an experiment to see if CBD can help him cope better with his more obvious signs of Autism. The main problem I have in dealing with my Autism is my sensory differences. Too many sources of noise particularly screw with my ability to think, make rational decisions and with my ability to communicate effectively. Which wouldn’t be a problem if I hid myself away from the world. When I first started gigging regularly I used to really struggle. The close proximity of the audience, the pressure of playing well, a particularly unsupportive band and the raucous reaction of the audience to the energetic music we played. It all added up to make me a tight wound ball of nerves throughout the gig. I have learnt over time to use certain coping methods to get me through and towards the end of the gig. 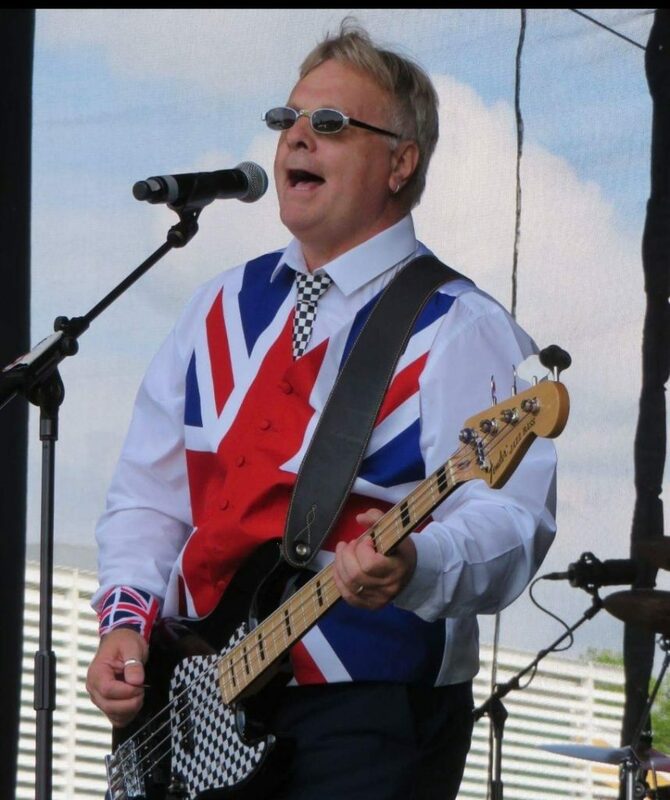 I am sometimes comfortable enough to join the audience on the dance floor as I play! However there is one aspect that I couldn’t change. The day after a gig I would be zombie-like. Unable to communicate properly with my family and needing peace and solitude to recharge my ‘Social Battery’. After a particularly stressful gig it could take me 48 hours to recover to my ‘normal’ state. It is at these times when I would be visibly and more obviously Autistic. The first time I took it was a day when I had to attend two events in one day. An outdoor gig and ceremony to unveil a statue in the afternoon, followed by a sold-out gig at my local theatre that evening. I was in a state of extreme social anxiety that afternoon, a feeling that had been building for a few days. As everyone was crowding around to catch a first glimpse of the statue I took myself off to the local health food store and bought some CBD oil. We left for home and I took some. 3 drops, under the tongue and leave it there for a few minutes before drinking. By evening I felt much better. We were on the front row. I even got chatting with the people around me and became friends with 2 of them. This was quite a revelation. It was wonderful just watching the show without thinking about how close the person next to me was, how loud they were talking, did they have perfume on, had they eaten garlic??? Although it did have a profound effect that evening I found that subsequent doses didn’t have the same effect. Further research told me that the CBD I had bought is actually a really low dose. Then, a few months later we were on a holiday and we took ourselves to Glastonbury for the day. We went in a typical Glastonbury shop, hippy clothes, juggling materials and drug paraphernalia like bongs and pipes. On the counter however was a display of CBD oil of various dose strengths. From my research I knew that the ideal strength was 500mg. I bought a bottle for £38 and looked forward to trying it. I started taking it on the day after I play a gig and found that it removed the brain fogginess and pressure that I felt. My recovery time was cut and by afternoon or early evening was almost back to normal. I played a gig some distance from home. I arrived home in the early hours and needed something to eat and drink. I decided that it would be a good idea to take CBD at the same time. I did. I was anxious about a gathering my neighbours had invited us to the next day. It was a drop in type event for the neighbours to all meet and chat. I had pre-warned them that I may be too exhausted to attend. This relieved some of the pressure. I got in bed after 3 am and slept the best I have slept for some time. I woke in the morning feeling quite fresh, certainly not the head crushing feeling I would normally endure. I took some more CBD with breakfast. That afternoon I felt more than able to attend the neighbour’s house and be sociable. They have recently done some building work and they have two young children. They also had a friend visiting with her three children. Acoustically the new build is really echo-y. No soft furnishing or curtains to absorb the sound and a hard floor to reflect it. Laughing, running, screaming and crying kids being kids and trying hard to concentrate on lip-reading what people were saying to me. The headlines on hospital discharge make for depressing reading. Prolonged stays in hospital are associated with worse health outcomes and increased care. Ten days of bed-rest in hospital, is the equivalent of 10 years of muscle ageing for people 80+. The numbers of people waiting in hospital for support on discharge have significantly increased over the years with around £820 million a year delayed hospital stays (National Audit Office). Levels of demand on health and social care services are rising while Adult Social Care departments have had their budgets significantly cut. There is sector wide recognition that more funding is required, and this sense of urgency has permeated government ranks. The system needs more investment but this is not a single fix. Much closer and integrated working between all organisations involved in hospital discharge will help to reduce delays and there have been some excellent initiatives nationally. Many programme managers and project managers have been recruited through Sustainability and Transformation Partnerships and Better Care Fund Plans to identify with senior managers local solutions to the complex issue of hospital discharge. However, my experience working for many years in this area has been that information on new initiatives and knowledge around best practice in hospital discharge is not always being cascaded down to those directly responsible day to day for supporting hospital discharge, in part because of challenges to release staff from frontline practice. Often those working directly with people have no idea about the vision and plans for better integrated solutions to hospital discharge let alone are invited to be part of the conversations about best practice in hospital discharge. My experience is that many practitioners are not made aware of some of the pilots and new services set up to support hospital discharge. Indeed, working with Adult Social Care Departments and NHS acute and community organisations over the past few years on hospital discharge it’s clear that many practitioners and their managers are still unaware, for example, of NICE guidelines and recommendations around hospital discharge, reablement and intermediate care and best practice evidenced nationally by organisations such as NHS Improvement, the Kings Fund and the Social Care Institute for Excellence. A National Audit Office report published in May 2016 stated that “Health and social care providers have made limited progress in adopting recommended good practice”. Basic good practice recommendations such as starting discharge planning early, identifying blocks to discharge early in the admission and making sure the person is informed and in control are still not consistently adhered to. Often those facilitating discharge are not supported to work together with their community colleagues to ascertain how people were being supported before admission or to ensure they are properly supported on discharge. Far too many assessments and decisions for long term care and whether people will benefit from reablement and rehab, for example, are still being made in an unfamiliar hospital environment despite the push for discharge to assess models. A couple of weeks ago I was charged with delivering training on recording delayed transfers of care to front line local authority workers. They were clearly very committed and passionate about providing good hospital discharge support. What they wanted was to know about the technical aspects of the legislation, so they could “challenge” their NHS colleagues on numbers of DToCs. What they needed was to understand the impact on health and wellbeing of those people delayed in hospital while they “challenged”. They needed to be empowered to develop closer working relationships with their NHS colleagues both operationally and in understanding each other roles and remits and increasing their knowledge and skills around best practice in integrated working and hospital discharge. Without staff being supported to develop in line with evidence-based practice, ways of working will remain static with staff from different organisations continuing to practice inconsistently and separately despite the best efforts of the senior managers and project managers to “integrate” services. Change has to come from the bottom up as well as at a senior operational or strategic level, with health and social care front line workers being given the skills, knowledge and forums to learn together about evidence-based practice in hospital discharge and intermediate care services. Nothing will change otherwise and no matter how much money is invested and how many great initiatives are piloted, and many people will continue to experience poor hospital discharges. Whilst attending a Dementia Partnership Board Meeting (our first in this area) to review their priorities, prevention was discussed. A member raised the point we should determine what we mean by prevention and suggested in some areas the evidence base was weak. The board had a range of stakeholders, and was inclusive and committed to developing meaningful changes. However, within this local authority, like many others, there had been funding cuts to the person responsible for ‘prevention’. Reducing funding for risk reduction may save funding in the short term, but has long-term implications; possibly higher costs to both health and social care. 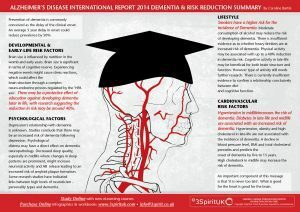 So, whose responsibility is it to mitigate risk reduction in dementia. The individual, public services or is it everybody? 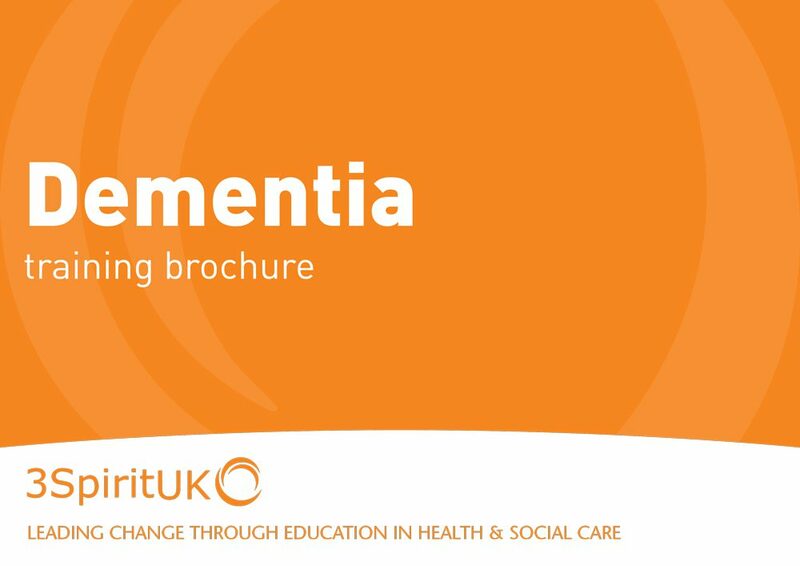 Three years ago, we developed our first resource: Dementia and Risk Reduction – see below. During this time, we have debated whether to utilize the term ‘risk reduction’ or ‘prevention’ in the messages we give, as these words are sometimes used interchangeably despite having different meanings. 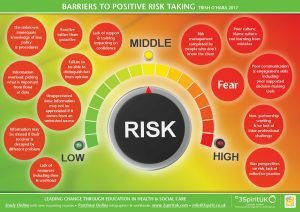 Since we have been highlighting modifiable risk factors on our programmes, our role appears to have evolved from simply being educators in social care to activists in health promotion. Sharing with our participants information for them to share with their clients, and which they may choose to act upon within their own lives. In July 2017, The Lancet published a long-awaited paper on the ‘Dementia Prevention and Care’ by Gill Livingtone and colleagues (http://www.thelancet.com/pdfs/journals/lancet/PIIS0140-6736(17)31363-6.pdf): A comprehensive review of the current evidence on modifiable risk factors in dementia care. For anyone working in dementia care this document will prove to be valuable; It is not a paper that you can skim read, it is succinct and relevant in many domains. Level 3 (tertiary): Interventions targeted at individuals living with dementia and their carers. These interventions aim to slow the progression of the disease and potentially alleviate some of the burden, enabling people to maximize strengths. Level 3 is where most of our work is targeted. We educate front line care staff on strategies supporting people to maximize their potential, which includes enabling people to stay in control. When supporting individuals, this could be making changes to the social and physical environment and considering the relationship between health and social care factors. This area of work may not be viewed as risk reduction in the traditional sense, but it plays a fundamental role. In the publication, many interventions are sighted ‘care’. However, these interventions may be considered as ‘risk reduction’, carrying the same level of priority as level 1 and 2. Within Level 3, we can consider risk reduction more broadly in terms of reducing the risk of increased levels of care, hospital admission or admission to care homes; all of which have a significant impact on the individual and society, including a financial impact. We develop resources for many of these interventions and raise awareness of them within our day to day training. However, we must be careful about framing dementia only as a condition to be ‘managed’ as it is both stigmatising and limiting; it reduces opportunities for self-management and self-determination. Rather, a ‘management’ narrative is perhaps necessary to assist systematic support to ‘managing’ the complexity of dementia. However, we need to be aware of different perspectives: dementia is multi-dimensional. What does dementia bring to individuals and communities? How can we reframe ‘loss’ as an opportunity? What can we learn about the positive power of vulnerability? Do diminishing cognitive skills lead to not being ruled by reason, but instead the heart, and if so what benefits might that bring? What does living in the moment, having insights and opportunity bring? What personal resources are available to individuals to challenge the standard paradigm in dementia? Some of the negative connotations associated with dementia stifle opportunities. If we had a more inclusive society, how could this facilitate opportunities in individuals to develop personal resources, resilience, and capacities? What, then, is the role of local authorities in using this evidence effectively in their work? Where children are in the LA care a strategy should be in place to stimulate a life time love of learning (to build cognitive reserve). Work with allied health services to support health checks for diabetes screening, weight management and hearing checks. Consider specific modifiable risk factors (vascular) to BAME communities with targeted interventions. Make funding available to tackle social isolation in dementia and develop ways of measuring how effective this has been. Enforce NICE guidelines for Home Care, that relate to measuring outcomes, however, consider tackling loneliness as part of this. Develop more integrated models of work. Work which is under way – however, skills development running to catch up. Work to embed risk reduction strategies in core training. Many individuals working in care and support services are already working with individuals that have MCI. L&D commissioners should ensure this is incorporated into their training programmes. Offer comprehensive training opportunities to services to maximize on ‘evidenced based’ interventions. We are very fortunate in Hertfordshire as our local authority has long invested in this. We have developed over 17 different educational programmes which have targeted the list of evidence based interventions, together with tackling broader social psychological factors. Over the years we have trained over 13,000 people to think more broadly and to BE proactive in their work. Develop their services to better support informal carers, recognizing the benefit and value of this in both economic and moral terms. Develop co-production, tapping into the talents and assets of individuals living with dementia. As a very smart chap (Chris Mason) living with dementia said recently ‘If we get things right for those living with dementia in the community we get things right for everyone’. Develop appropriate courses, and measure the impact training has in reducing unnecessary admissions to both hospital and care homes. Some residents only require short term treatment in hospital: for example, antibiotics, fluids, or x rays, but then may become ‘stuck’ in hospital leading to increased risk of hospital acquired infections and falls. In our work, we have been commissioned to work on a Vanguard project that successfully reduced admissions to A&E from care homes. The programme included training aimed at supporting practitioners to detect the early signs of delirium -perhaps from a chest or urinary infection – and consider risk factors which may lead to falls, such as visual perceptual challenges and the physical environment. The programme also explored how positive psychology may impact on wellbeing. Mental Health takes many forms and affects us in many ways, and it doesn’t discriminate between race, religion, colour or gender. It can gradually creep up on us or hit us like a truck. No 2 people will suffer the same. I have struggled with mental illness for half of my life now. I remember aged 17, being in the bath after another argument with my parents, thinking how easy it would be to just stick my head under the water and end it all. Every teenager has their struggles and will say that their parents just don’t understand them, but this was especially true of mine. 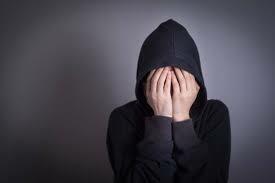 Even now, 15 years later, I still look back on my teenage years as a very traumatic time. From the age of 18, I spent 7 years in an emotionally abuse relationship. It started with the odd accusation here and there, until eventually, it became an every day occurrence. Every time my phone pinged, he demanded to know who it was. If the person wasn’t female, then clearly I must be cheating. When I was 25, we finally separated and I was left alone with a house and all the bills to pay for. My counsellor recently told me a saying that they use in her sector: “The road is full of potholes”. This was very true of this point in my life, only they weren’t potholes, they were an abyss that I was circling and about to fall into at any moment. I recall driving home from work one afternoon and all I wanted to do was drive my car flat out into a brick wall. I knew then that I needed help, so I made an appointment with my doctor and was prescribed antidepressants and signed off work for 2 weeks. I will never forget my manager’s reaction to that note: “you could always just rip it up and get on with it”. Words failed me and I hurriedly left the office and didn’t return for 2 weeks. Things got a little better as the tablets started to take effect but it wasn’t just the feeling low, it was the insomnia, the numbness and the anxiety that can accompany Depression. I didn’t sleep properly in weeks and this only hampered my recovery. Over the following months, I became stronger and began to like living on my own, it was then that I very unexpectedly met my husband. Within a few months of meeting him, I had weaned myself off the antidepressants and I felt amazing. We were married 9 months after meeting and shortly after we were posted overseas with the military. Moving away was the fresh start I needed, we made some great friends and had our two children. So how can I still feel sad? A question I have asked myself so many times. After all; I have the perfect marriage to my best friend and soul mate and we have two healthy and wonderful children. So what can I possibly have to feel depressed about? The answer is nothing. But Depression doesn’t need a reason. My latest battle with Depression really started last year. I knew I was struggling so I went to the doctors and requested to go back on antidepressants. But as the year went on, my mental health continued to decline and after the loss of a close friend to cancer last July, things just got worse. The thing with Depression though is that it doesn’t just affect you, it affects everyone around you. I became less and less tolerant with my children and I withdrew from my husband- some days feeling so angry with him just for sitting down on the sofa next to me. I wanted to scream at him, even though he’d done nothing wrong. My husband thought it was all his fault that I felt this way, like he wasn’t enough to make me happy anymore. But it wasn’t anything to do with him or our children. The truth is; I still don’t know what caused it. It wasn’t just my home life that was suffering, but my job too. I struggled to complete every day tasks and made so many mistakes. I’m very fortunate to have a boss who understands and helped me to get back on my feet. I now know that if I’m having a bad day, I only have to let her know and she will support me as much as she can. This makes all the difference to my struggle. By September last year, things were back at their very worst. I didn’t have the suicidal thoughts that I’d had previously because of my children, but I knew I needed more help. The doctor had doubled the dose of my antidepressants but this was not helping, so I sought a counsellor. I found her listed on the Counselling Directory website and instantly liked her from her photo. I’ve lost count of how many sessions I’ve had with her, but every single one has helped to get me back on track and feel better. We’ve been through the ‘nitty gritty stuff’- the abuse etc. but I have left every session feeling a million times lighter. I don’t have regular weekly sessions anymore, I just go when I feel like I need a bit of support or help. For me now, it’s a bit like an MOT for my brain when I need it. Mental Health takes many forms and affects us in many ways, and it doesn’t discriminate between race, religion, colour or gender. It can gradually creep up on us, or hit us like a truck. No 2 people will suffer the same. I’ve been lucky to make many new friends since my eldest started school last year, and I have been very surprised to learn how many of those other parents have been effected by their own mental health- some just the once, for others it’s ongoing. And it always seems to be the parents who are (sometimes rather annoyingly!) always happy. It just proves that, despite appearances, you never know what personal battle someone is fighting. Don’t ever be afraid to ask for help; more people understand than you realise. Why we changed our organisation from a ‘for profit’ organisation into a Social Enterprise. I started to write this blog at the start of the year. Normally this is a time most people take stock and ask how can we BE and DO better? However, within our social care sector, this reappraisal is not new, but rather ongoing, and insidious. We are constantly being asked, how we can DO better. For many services this has resulted in cutting back, and prioritising profitability. However, what is the impact of this? Is there a hidden cost of dwindling social care funding, creating highly competitive, low cost, low value services? Has this disproportionate focus on the turning a profit taken us away from more ethical aspects of our work, as we forget to ask how can we BE better? Surely the test of how we can ‘BE’ better as a social care service lies within the ‘social impact’ that we have, not in the profit that we accrue. About twenty years ago after a relatively short career in social work I became a proprietor of a social care business at the age of 27, and when I look back over the last two decades I see the factor which drove me to business was the freedom to BE the person that I wanted to be. Because of this, I get immense pleasure from my work, and my collaborations. I spend time working with the individuals that I chose, and I have the opportunities to learn about, and develop what I determine as critical, interesting and applicable. I am motivated, engaged and free to be innovative. My values are at the heart of my business, sometimes at the expense of profit. Over the years my values have evolved. As a young entrepreneur, I was always interested in creating and sharing, however now I am more concerned about how these collaborations impact on our communities, collectively and positively. Despite being a ‘for profit’ organisation, we shared our resources, widely and openly (with no material gain), and attempted to reach out to individuals and organisations through our work. Whilst we have had many supporters, we have also been met with some alarming responses: individuals proactively unfollowed us, and actively excluded us. It was disappointing and deeply demotivating. There appears to be a lack of trust in our sector: driven possibly by competitive, anti-collective forces. Consider though what the possibilities might be for our sector where we are able to foster trust, and build alliances beyond the competitive limitations of market forces. What if we all shared common goals, the communities that we serve? What if there was a less of a ‘me’ mentality and more of an ‘us’? The growth of a market was stimulated, in part with the introduction of the Community Care Act, and has relied on competitive forces, creating best value. However how effectively does this model work now, in this current climate? In 2012 the government introduced the Public Services Social Value Act in an attempt to get commissioners to consider the social impact of their buying power. However, this only applies to high value contracts. So what of all the other services, or individuals, purchasing services in their community? Whilst these services are regulated by ‘CQC’, many are driven by profit, and may not always be making their decisions in the interests of ALL of their stakeholders. If we are to really make a ‘shared society’ work, should we not ‘expect’ that ‘social enterprises’ are afforded preferential treatment at a local buyer level? In 2015 there was a review of the implementation of the Public Services Social Value Act suggesting that the Act be extended to contracts below the public spend threshold. It is my view this could be extended further than suggested. In the health care market we have already seen many services become ‘social enterprises’. Health has long had an expectation that it should service all ‘stakeholders’, as since the introduction of the NHS it has been free at the point of delivery. However, that is not the case for social care: the expectation remains many providers maintain a ‘for profit’ status. Many business minded individuals identify opportunities in a growth market, particularly in the community, where the there is a growing need to support individuals with more complex levels of care. The question is, how sustainable is this in the current market? Does the ‘social enterprise’ model work better in this climate, and if so – should commissioners consider this as part of their market shaping strategy as part of a long term goal for smaller, as well as large organisations? Could this be applied across all types of services, particularly training services like us, whom should be embodying an example, as advocates of ‘best practice’. So, as a proprietor what are your driving values? To make a profit or make a difference? Whilst on the face of it, it may be a little more complex than that, determining the overriding priorities will help to properly focus priorities on outcomes. As an education provider in social care we aim to buck the trend, and embody this change. ‘Social Enterprise’ is a more comfortable fit for us: synergy with stakeholder expectations and our activities. Through raising awareness, we aim to provide better insights into the experience and needs of the individuals we support in the social care sector. From a business perspective, it seems to make sense as it is through trading, we may have a bigger impact in society. 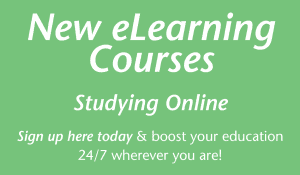 3Spirit specializes in high quality learning resources and eLearning courses in health and social care training. Hertfordshire based 3 Spirit UK has been awarded the Social Enterprise Mark, which proves they are in business to benefit society, community and the environment. 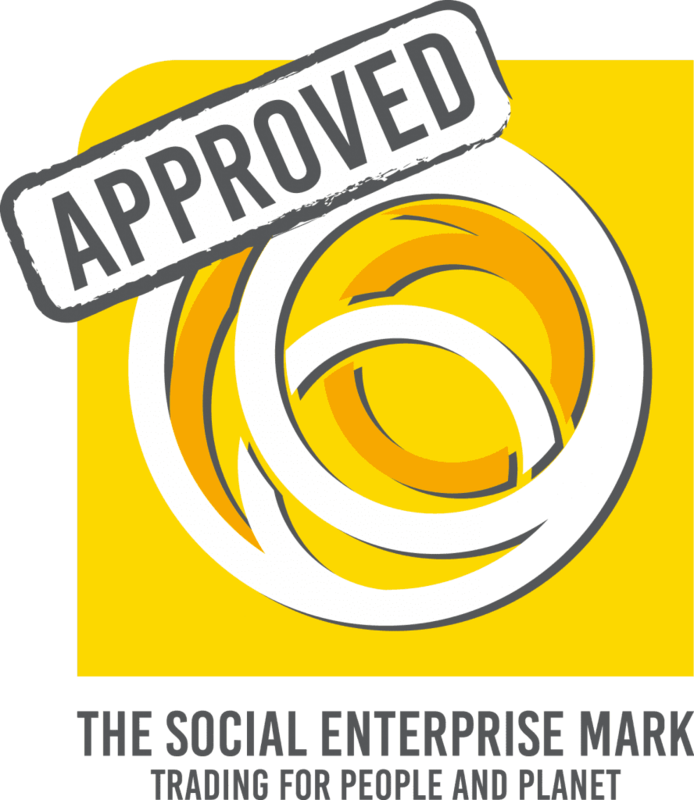 The Social Enterprise Mark is only internationally available social enterprise accreditation, enabling credible social enterprises to prove that they are making a difference. 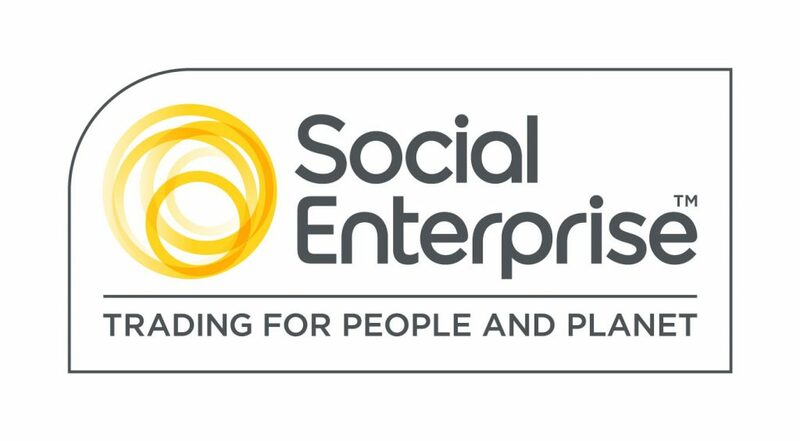 Only organisations which can prove they operate as a social enterprise, with the central aim of using income and profits to maximise their positive social and/or environmental impact taking precedent over a requirement to maximise personal profits for owners and shareholders are awarded a licence to display the Social Enterprise Mark. to prevent and delay further deterioration in the health and wellbeing of a person living with dementia through access to education and/or tools. 3 Spirit UK joins other social enterprises that have been awarded the Social Enterprise Mark, such as the Age UK Enterprises, Eden Project, Big Issue, and the Phone Coop. Government data estimates that there are 70,000 social enterprises across the UK, contributing over £24 billion to the economy and employing around 1 million people. Social enterprises plough the majority of their profits back into activities that benefit people and planet, rather than just lining shareholders pockets. However, some businesses are taking advantage as there is no legal definition for them. The Social Enterprise Mark CIC is the guardian of genuine social enterprise principles, and it safeguards these through the independent accreditation process. by providing education to the health and social care workforce, and directly to vulnerable groups. by providing services tools and/or consultancy to improve the impact of their work, to create efficiencies that improve wellbeing. Over the last four years 3 Spirit UK has been dedicated to researching and developing innovative learning opportunities. This has involved engaging with a wide variety of stakeholders by utilising social media and other platforms to share ideas. In this process the aim has been to develop resources that engage the workforce, and work well in overstretched and underfunded services. In a very challenging social care market 3 Spirit UK has aimed to identify strategies and resources to help services balance competing priorities, focusing on what good care and support, and to determine how to meet individual outcomes for wellbeing.